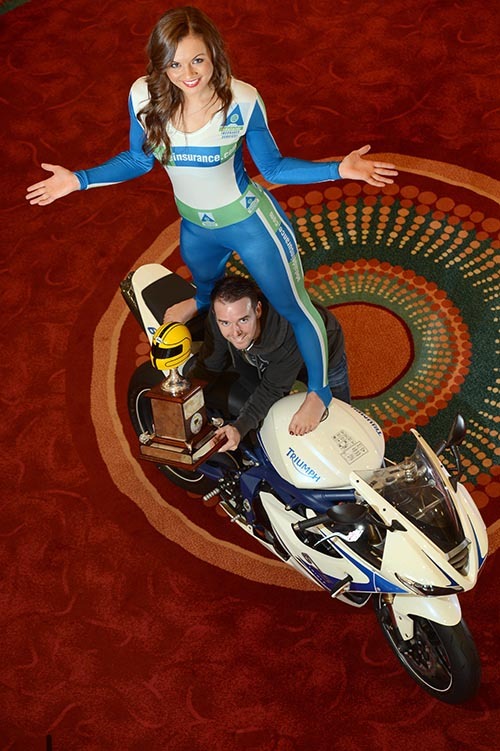 Voting for the Irish Motorcyclist of the Year is underway! Once again this prestigious award will be decided by bike fans who can choose their favourite rider of the season by voting online. The winner of the Enkalon award, in association with Adelaide, will be presented with the famous Joey Dunlop trophy at the Adelaide Motorcycle Awards in Belfast on January 18 next year. Among the nominated riders are British Superstock Champion Keith Farmer, Jack Kennedy the runner up in the British Supersport Championship, British Supersport Cup Champion Glenn Irwin, and Brian McCormack the first double winner of the Adelaide Masters Superbike and Supersport series. On the World short circuit scene Jonathan Rea and Eugene Laverty finished fifth and sixth respectively in the World Superbike Championship. Rea was also the first British winner of the Suzuka 8 hour race and deputised in MotoGP for Casey Stoner. Among the nominated road racers are Isle of Man TT and Ulster Grand Prix winner Michael Dunlop, and his brother William Dunlop who won the 250cc Irish Road Race Open title after a memorable season which also included his first four stroke victory at the NW200. Before his retirment Ryan Farquhar had a unique Supertwins treble at the NW200, TT and UGP and was the Duke Road Race rankings winner for the sixth time in eleven years, while John Simpson won the Senior Manx Grand Prix as a newcomer. Off Road Martin Barr excelled in the British MX1 Championship, as did Graeme Irwin in the MX2. They both teamed up for an excellent 13th position out of 20 in the MX of Nations. There’s also one female rider on the short list – Natalie Kane who finished second in the FIM World Championship. Other nominated riders are NW200 winner and last years Irish Motorcyclist of the Year Alastair Seeley, Michael Laverty who finished 5th in the British Superbike Championship, young road racer Jamie Hamilton, and Lee Johnston, who had podium finishes at the NW200 and in the British Superstock Championship. In all more than a dozen other awards will be presented on the night. The black tie event will once again be hosted by BBC’s Jackie Fullerton. 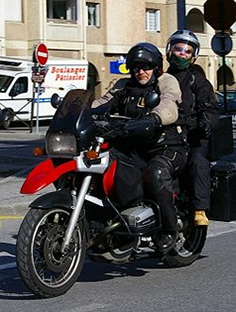 Adelaide Insurance Services are Northern Ireland’s long-standing motorcycle insurance broker – trading UK wide and in The Republic of Ireland. Adelaide Insurance was voted the UK’s number 1 for Value for Money in the Auto Express Driver Power 2012 survey, beating all the UK’s best known brands.